I have long suspected that John McCain was neck deep in the Russian dossier mess. The founders of Fusion GPS are now admitting that they assisted the researcher hired to compile the 35-page dossier on Trump in sharing it with Sen. John McCain. It was thought, and correctly so, that McCain would pass the dossier onto the intelligence community under the Obama administration. That’s exactly what he did and he was not the point man on this by accident. This raised the question of whether McCain knew this was oppo research against Trump funded by Hillary Clinton’s campaign and the DNC. My money’s on yep, you’re damn right he knew. McCain’s office has no comment on this. He was the person who originally handed the dossier to the FBI. I have known this all along, it’s no secret. My question is, why McCain? And what did McCain know about that whole plot? McCain handed the dossier directly to then-FBI Director James Comey. That’s way too cozy for my tastes. The FBI used the dossier as a basis for the probe into Trump’s connections to the Russians in the 2016 presidential election. 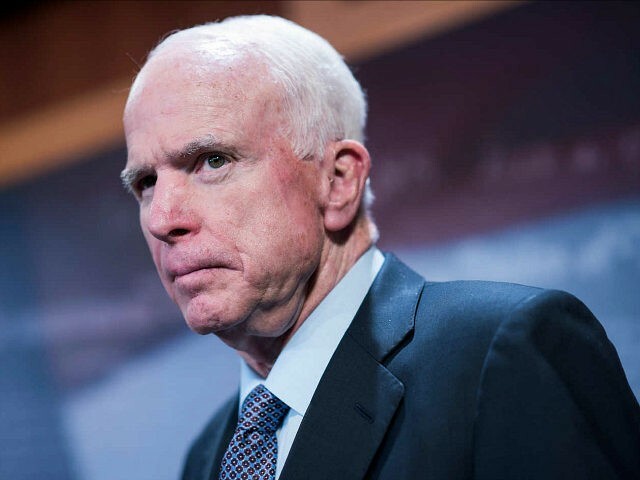 Fusion GPS founders Glenn R. Simpson and Peter Fritch are saying that they helped McCain share their anti-Trump dossier with the intelligence community via an “emissary.” “After the election, Mr. Steele decided to share his intelligence with Senator John McCain via an emissary,” the Fusion GPS founders related. “We helped him do that. The goal was to alert the United States national security community to an attack on our country by a hostile foreign power.” I’d love to know who that emissary is. In April 2016, attorney Marc E. Elias and his law firm, Perkins Coie retained Fusion GPS to conduct the questionable anti-Trump work on behalf of both the Clinton campaign and the DNC. Through Perkins Coie, Clinton’s campaign and the DNC continued to fund Fusion GPS until October 2016. Did McCain or his aides have contact with the law firm? How about Fusion GPS themselves on an ongoing basis? I have lots of questions here and McCain has always appeared suspicious to me in this whole thing. He hates Trump and it would be just like him to want to be part of a move to take Trump down. On January 10, CNN was first to report, based on leaked information, that the contents of the dossier was presented during classified briefings one week earlier to then-president Obama and president-elect Trump. Then Buzzfeed ran with it. Last October, McCain denied giving the dossier to Buzzfeed. I never thought he did. He gave it to Comey and they took it from there. Either the FBI or Fusion GPS fed it to Buzzfeed probably. 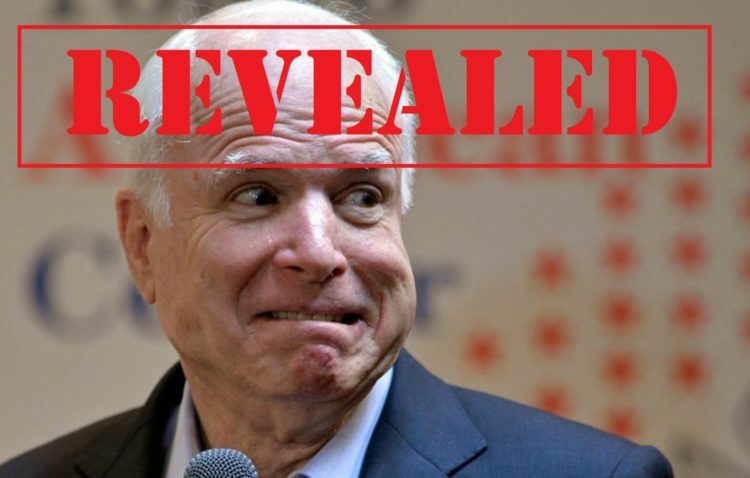 Sir Andrew Wood, a former British ambassador to Moscow, said McCain first consulted him about the claims inside the dossier at a security conference in Canada shortly after last November’s presidential election. Why would McCain do that? He breached an intelligence channel doing so and that violates all kinds of protocols. Wood stated that McCain had obtained the documents from the senator’s own sources. “I told him I was aware of what was in the report but I had not read it myself, that it might be true, it might be untrue. I had no means of judging really,” Wood said on January 4th. And it looks like Wood may have been the emissary. Last Month, he stated that he served as a “go-between” to inform McCain about the dossier contents. “My mission was essentially to be a go-between and a messenger, to tell the senator and assistants that such a dossier existed,” Wood told Fox News. In March, Vanity Fair raised questions about the alleged involvement of David J. Kramer, a former State Department official, in helping to obtain the dossier directly from Steele. The issue was also raised in a lawsuit filed against Steele by one of the individuals named in the dossier. I have not heard of one item in the dossier as being proven factual, despite what the Democrats are claiming. It looks like wholly manufactured propaganda to me that was planted by the Russians. The Russian sources were paid for this crap. They took the Americans’ money and gave them planted propaganda on Trump to cause a rift in our political system. It worked and the Russians laughed all the way to the bank. McCain is complicit as far as I’m concerned and should be held to account with all the other parties involved in this subversion. Bonus, they now say there has been one death in Europe connected to the sources on this dossier. The best guess, at least for now, seems to be former KGB general, Oleg Erovinkin, who was found dead in the back of his car on a Moscow street in December 2016. Sounds to me as if the Russians are tying up loose ends here.